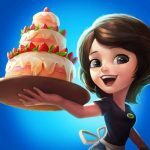 Notice Me Senpai is a new game from Skillshot Labs that’s available for Android and iOS devices, and it puts you in the role of the first girl accepted in an exclusive all-boys’ private school. In order to pay for your tuition, you’ll be working at the Third Year Building Café, and that’s where the fun begins – decorating your café to attract more customer, and meeting different upperclassmen. These include nerds, jocks, even famous pop idols – the game says that “this school has them all,” meaning almost 30 different guys, or Senpais, with different backgrounds and personalities. You can also take camera snapshots and check your Senpai profile list to track your progress in the game. Looking at this game, its mechanics are an interesting mix of café management and Neko Atsume, only this time, you’re collecting Senpai, instead of collecting cats, with different items capable of attracting different Senpais. 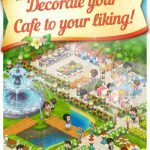 But how can you “collect” more of these Senpais, and how can you properly decorate your café to attract more customers? We’re going to be covering those two big questions and more, as we now present to you our Notice Me Senpai strategy guide. The game has a “hearts” system that allows you to see just how a Senpai feels about you. Their feelings are based on a scale of one to five hearts, and this would also be based on how often they visit your café. Once a Senpai reaches three hearts, he will drop off a letter, and at five hearts, that will trigger an in-game event, which is pretty much a mushy cutscene involving you and the Senpai in question. You can also go beyond five hearts by playing the “petting” mini-game, where your goal is to increase their affection, and by taking advantage of bonus events, such as birthdays. Generally speaking, the Senpai in this game like coffee of any kind, even the one made from basic coffee beans. But you may also want to make coffee with the more premium bean varieties, including Gourmet, Golden, and Magic, as that would attract more Senpais to the café. That means more coins and gems – that’s the game’s common and premium currency respectively – each time they visit. Sometimes you may get a bit impatient and wish you had more gems faster, and with less effort. That’s not a problem, just as long as you have at least 500 coins and 15 gems at any given point in the game. By using the gem-to-coin converter, you can convert those 15 gems into 500 coins. That’s going to give you a total of a thousand coins, which you can then send to the coin-to-gem converter for 20 gems. You’re going to be out a thousand coins, but at least you still get five extra gems easy, and coins are far easier to earn than gems anyway. It’s a good idea to upgrade your café to a larger one at the soonest possible time. That will give you twice the space, thus allowing you to attract twice as many Senpais. There is a catch, however, and that’s the fact that you will require twice the amount of beans. 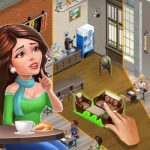 So before you go ahead and upgrade your café, which will cost you 200 gems, make sure you’ve got enough beans on hand to cover the increased number of customers, i.e. Senpais, your café will be attracting. As a quick aside, another good way to attract more Senpais is to buy décor that costs gems, meaning the premium décor. That’s something you might want to try once you’ve got the bigger café. Now that we’re done with the general tips, let’s move on to attracting Senpais. The game’s description says that there are 26 Senpais for you to collect, but by our count, there are currently 28, with the possibility of more getting added in subsequent updates. We’ve listed all of the Senpais in alphabetical order, so read on if you need information on their favorite items, and how many approximate visits they have to make to reach the three-heart and five-heart events. So without further ado, here’s everyone in the Senpai list as of this writing!